LinuxChix is too big a task to be done by any one person. 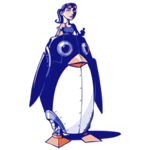 This page lists the many, many volunteers who run the mailing lists and manage the various sections of the website, help with the server, and run the real-world, face-to-face LinuxChix chapters. How can I help with LinuxChix?